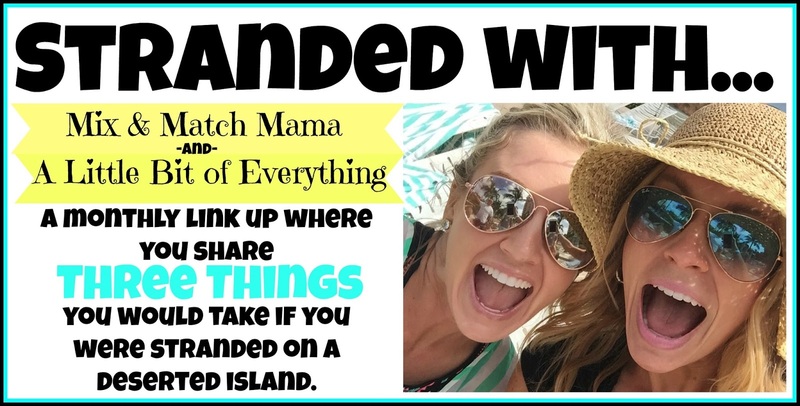 I decided to try a new link up with Shay and Erika. It was actually yesterday but since I was writing about book club, I am just joining today. The photo above explains it all, today's three things are Medicine Cabinet Items. The first is easy - Steri-Strips. 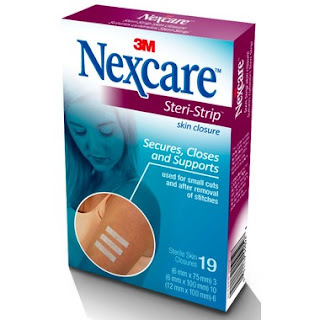 These have saved us numerous times from having to take E to the emergency room for stitches. They close up cuts really nicely. These would definitely come in handy on a deserted island. 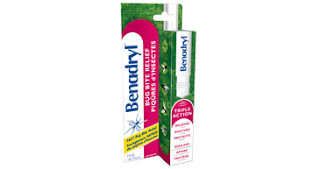 The next is Benadryl Itch Stick. I guess I am assuming that I am stuck on this deserted island with my family. If that was the case, poor E gets so bothered by bug bites that he would need this stick. I guess the better thing would be to bring good bug spray, but I don't keep that in my medicine cabinet so it does not qualify for this exercise. And the last is Extra Strength Advil. I assume we will be working hard to build shelter, constructing rescue signs, and dragging wood around for fire. I would definitely be sore after all of that work, and my favourite painkiller is Advil. Also, you can take it and drink alcohol at the same time (not recommended for Tylenol), so if we found some old rum (like in Pirates of the Caribbean), then we would still be safe to drink it and take the Advil.